after slitted rewinded from the thermal paper roll slitting machine, then become the finished small thermal paper rolls. on the middle of finished small thermal paper rolls, normally there are two type cores to insert the thermal paper rolls. one is paper cores, like the fax paper,it is of paper cores to insert the thermal paper rolls. 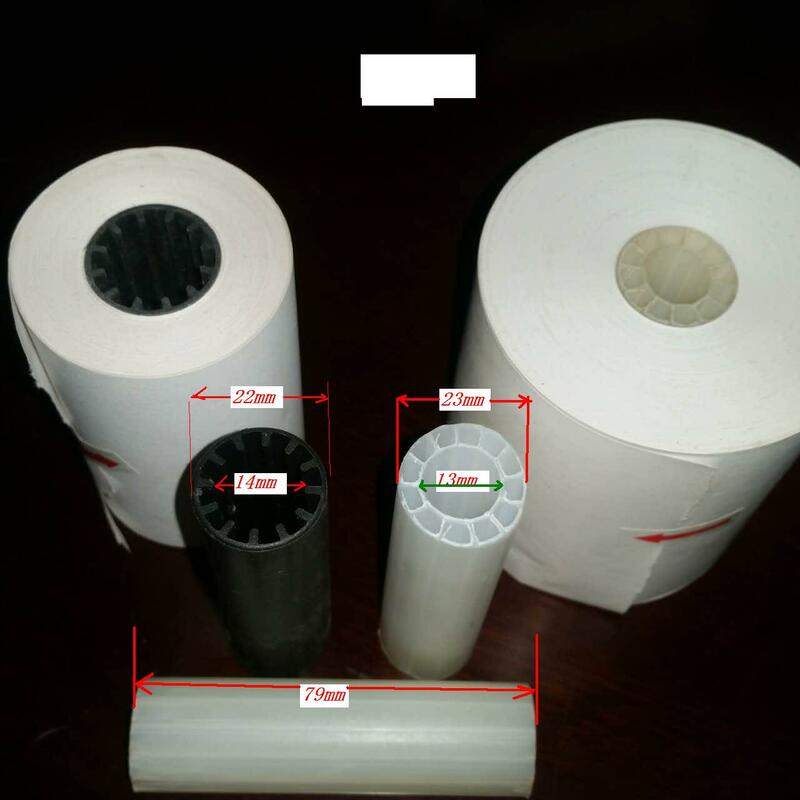 another is plastic cores, this is the popular cores to suitable for cash register paper rolls. like the below pictures. for plastic cores, there are two type too. one is white coloure which made from one enviroment protection material ABS,normally the price is USD0.042 each one.